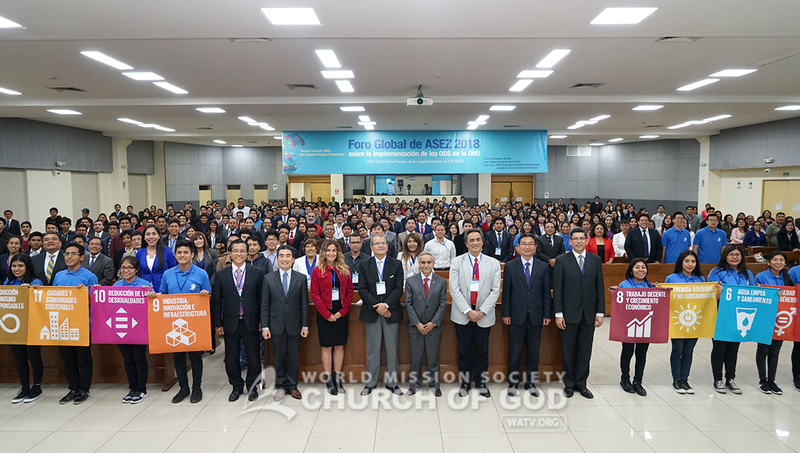 The ASEZ Global Forum was held at the Church of God in Faucett, Peru, on October 17, about a month before the Talk Concert on Confronting Climate Change. The ASEZ Global Forum is an event where citizens and experts from various fields gather and discuss the ways to realize the SDGs collaboratively with the ASEZ members as the center. 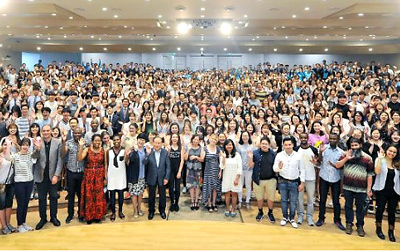 Starting from Pangyo New Town in December 2017, the Church of God has held the event in major cities around the world. At the global forum in Peru, more than 700 people, including the Head of National Security Bureau, Supreme Court Justice, corporate executives, university presidents, doctors, ASEZ members, local university students, citizens as well as officials from the United Nations and from the Ministry of Environment of Peru, attended and put their heads together for the future of the world. The forum proceeded with lectures by experts from various fields. Amanda Cowl, the Political Affairs Officer at the United Nations Regional Centre for Peace, Disarmament, and Development in Latin America and the Caribbean [UNLIREC]; Walter Mendoza de Souza, the professional analyst at the United Nations Population Fund; Julio Díaz Zulueta, the Director of Peruvian National Police Directorate for Citizens Security; Duberlí Apolinar Rodríguez Tineo, the Supreme Judge of the Judicial Power of Peru; and other key figures analyzed the situations the global village faces from various angles and offered solutions through the presentations based on expertise in the environment and the law. 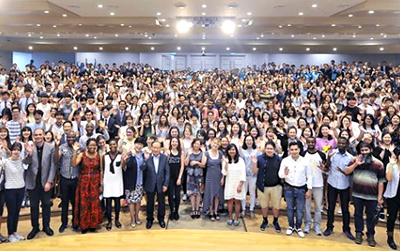 Introducing the U-SAVE Movement focusing on social service, awareness raising, victim relief, and environmental protection, and the Green Campus Cleanup Campaign, which has been carried out with the purpose that “university students should protect the environment, starting from campus,” the ASEZ members encouraged everyone to join together. “I love seeing the motivation and the energy of young people, which makes me want to find innovative and new solutions to the problems we face as UN officials,” said Amanda Cowl, the Political Affairs Officer at UNLIREC, after the lectures. 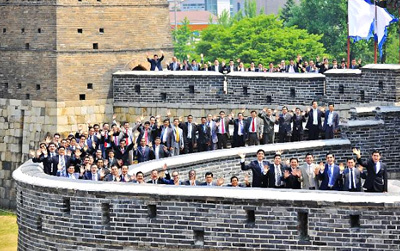 “The activities of ASEZ will continue to be important not only for now but also for the next generation. I will definitely help in one way or another,” said Dr. Carlos Pau, who attended the forum, supporting the activities of ASEZ. The SDGs are an agenda adopted by the United Nations in 2015 and a common goal of the international community for the sustainable development of humanity. It contains 17 goals, 169 targets, and 230 indexes that the international community has agreed to implement by 2030 to address a wide range of problems humanity is facing, including poverty, diseases, education, environmental destruction, and economic problems.